Take a trip like no other where you’re more than rewarded with every turn of the pedals. 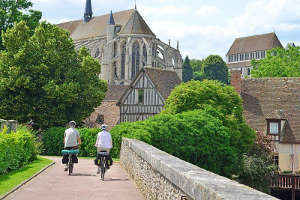 From Paris to Chartres, follow the idyllic path from majestic palaces in the deep forests to grandiose cathedrals peacefully set amongst winding waterways, climaxing with a spectacular sound and light show in the historic city of Chartres. From near or far this tour will never cease to amaze. We’ve thought of everything to make your trip unforgettable. Ride at least once a week on similar distances. Get others to ride with you; there’s strength in numbers! This trip is just right for you! You will enjoy the trip and can always push it a little to arrive at your destination with a bit of sweat on your jersey. Inspired by Véloscénie and our passion for l’Ile-de-France your travel booklet and GPS will take you on little known roads—until now. Picnics in hidden spots, luxurious accommodation, not-to-be-missed visits—all of this will get you pedaling and stimulate your senses all along the route. A bike tour filled with discovery and adventure. A relaxing first day in the saddle and a challenge for the eyes. You cross Paris, the City of Light, and go out by the ‘green’ exit, the Bois de Boulogne, then St. Cloud park proudly sitting high on a hill overlooking Paris. 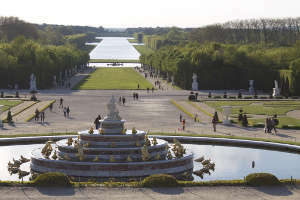 Between two forests you will reach Versailles. Still on bike, you follow our route through the city and the Château park. Depending on what you fancy, picnic by the Grand Canal or lunch at the restaurant. Then take advantage of your passport ticket to explore the chateau and gain access to the estate. Completed stage: elevation : 187 meters. Accommodation: High-end or unique full comfort accommodations according to availabilities. Meals: Not included (choice of selected restaurants). A day dedicated to the bicycle! Follow the Bièvre River, do as Victor Hugo and enjoy the trail along “The most beautiful cliff of Ile-de-France”. Enjoy you time in the shade before you follow the line of the abandoned Aérotrain. Nature has reclaimed it, restoring the ‘green line’. At the gates of the gardens of the Château Rambouillet in the heart of the forest, enjoy the gifts of a king in a relaxing evening reflecting on the events of the day. 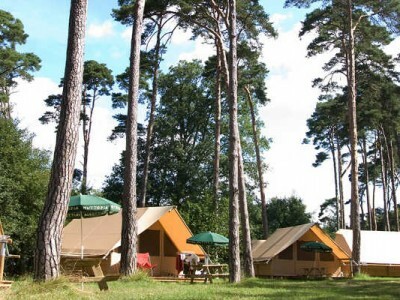 Accommodation: Hotels 3/4*, trappeur tent or caravan according to availabilities in the heart of Rambouillet or its forest with natural pool and lake. Meals: Breakfast / basket lunch. Devoted follower of St. Jacques (St. James) or explorer of Véloscénie on your final day you will follow both paths as the Eure River accompanies you with its stories from Normandy. Discover the riches of another region, Eure-et-Loir. Let yourself be overcome by the château and gardens of Maintenon. Then follow the trail of water and watch as Chartres slowly and majestically reveals itself. After all that exploring by bike relax and enjoy the gem of adventure. Treat all your senses to an evening with the Chartres cathedral bathed and dancing in a symphony of light. Accommodation: Hotels 3/4*, or bed and breakfast according to availabilities. Enjoy a free morning with suggested visits. Discover the old city of Chartres through the charm and intrigue of its narrow streets and alleyways. Visit inside the cathedral walls; explore its notorious labyrinth while the awe inspiring stained glass and the identifiable blue of Chartres reveal themselves in the morning light. Become a local, ‘un Chartrain’ in their favourite spot, laze about by the river, the Parc des bords de l’Eure. Savour the moment before returning to Paris Bike Tour. Return to Paris Bike Tour agency, 13 rue Brantôme 75003 Paris (about 2h journey). Between each stage, we have been careful to select high-end or unique full comfort accommodations (hotel 3/4*, bed and breakfast, tent, caravan). The choice between the different suggested accommodations will depend on their availability (for minimum 2 people). 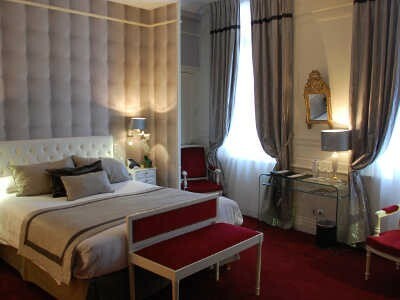 For this first night, you will enjoy comfortable accommodations ideally located in the centre of the city of Versailles. You will be delighted by their immediate proximity with the most breathtaking monuments: the castle and its gardens, the Bartabas stables, the Royal Chapel but also the numerous restaurants and art shops. For your night in Rambouillet, you will benefit from peaceful and green surroundings, the perfect place to relax after this second stage. 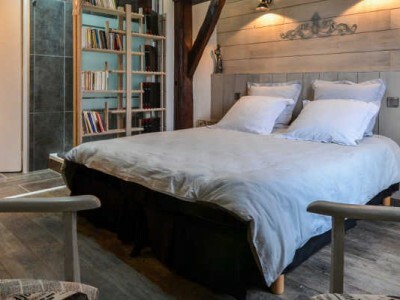 The accommodations (comfortable hotel or quirky campsite with natural pool) will complete your evening ideally located near the castle or nestled in the Rambouillet forest. An unforgettable night in Chartres. You will succumb to the charming and authentic hotel and bed and breakfast located in the historic town of Chartres. 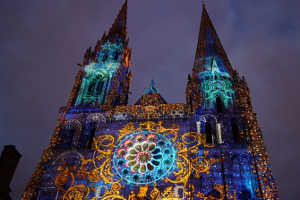 You will be able to rest a little before the evening walk to Chartres cathedral and experience the magical Chartres Light Show, a one-of-a-kind experience. 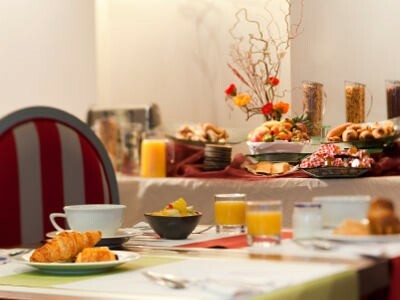 3 breakfasts and 2 basket lunches with one water bottle per person are included for the stages: Versailles-Rambouillet and Rambouillet-Chartres. You need to pick up these basket lunches before each stages’ departures. Your evenings: we made sure that the selected accommodations are able to give advice on quality restaurants around them. They also may propose you to have dinner. Your luggage is transferred by private car between each stage. You have to leave your luggage at the reception each morning before you go. 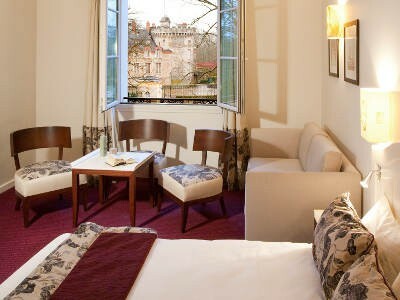 You will get them back at night at your hôtel.For the return ‘Chartres-Paris’ the baggage will be transported with you. A key factor in the success of a bike trip is the quality of the equipment. 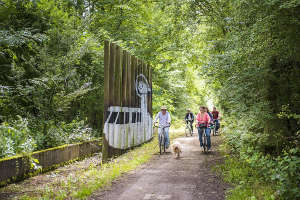 To make your bike trip the most enjoyable, Paris Bike Tour selected the best equipment: light but robust and comfortable bicycle + accessories (helmet, saddlebags…). We have thought of everything to make you enjoy the magnificent scenery and settings that this bike tour has to offer. 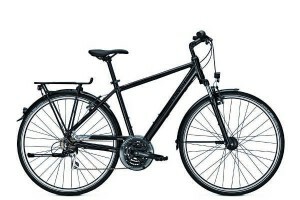 Paris Bike Tour chose a 21-speed touring bike that is comfortable on a variety of terrains. The well-designed aluminum frame combines strength with responsiveness. 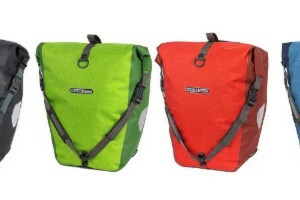 2 rear light and waterproof saddlebags with a 30 L capacity. They will allow you to carry all the items you need during each stage. Very handy to carry the items you need the most. It is also very useful to put the roadbook (maps) in order to keep yourself on the right path! The helmet is adjustable to your head size. It also has a small visor and 25 airy vent. 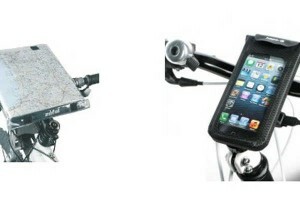 GPS/smartphone mount STANDARD,Repair kit, lock. An extra day in Rambouillet, accommodation included. With a guide discover the Laiterie de la Reine et la Chaumière aux Coquillages (Queen’s dairy and thatched cottage). Feel the serenity of the Rambouilet forest, a place where a lot of Parisians are used to going for a green getaway! Additional activities in Chartres, Guided tours by candlelight of the crypt of the cathedral, an unforgettable voyage through time. You may also take advantage of the occasion and drop by the Maison Picassiette. Enjoy a different style of visit; enjoy the ‘guinguette de la Petite Venise’ (food, song and dance bar in ‘Little Venice’); discover the Centre du Vitrail (glassworks) or take to the workshop and craft your own stained glass creation. 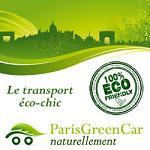 Accompanied throughout the tour or in part by an enthusiastic and professional Paris Bike Tour guide.